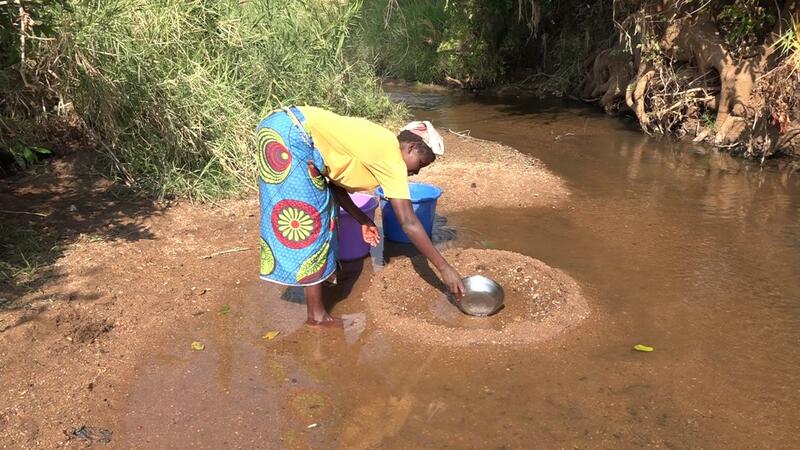 The nearest borehole to these villages was almost four miles away at a school in a different village. 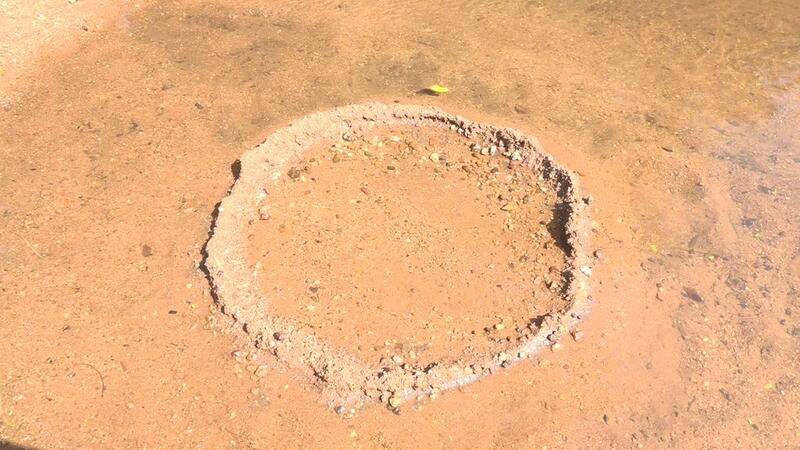 That borehole already had (still has) many people that depend on it, separate from the school staff and students. People in these two villages previously got their water from sources of two different kinds. The first water point is hand-dug holes. People living far away from a river with year-round flow would dig into the sand along the dry riverbed. After digging, they would wait for the water to fill a shallow plate they would use to slowly fill up their bucket. This took a great deal of time and it meant that much of each day was spent by water bearers (usually women) in trying to make sure that there was water in their home. The second kind of water point is the Sangadzi River. In this case, people make small, round, sand-and-rock dams about three inches deep, leaving about an inch of sand above the river water level. They make these in the shallow river’s path, usually less than a yard in diameter. Once their dam is completed, water slowly begins to seep in through the ring of sand, and they scoop out the water that was trapped during their building process. In this way their water was “filtered” by sand, but everyone knew it was not really clean. They simply had no other choice; many others in Malawi still don’t. While working there, our team met a lady at the river with a one-month-old baby named Dave. She told us, “Every time we come here we have to re-make a dam, because the dam we made just hours ago is taken away by water that is still moving and flattens the dam. This takes time, and I have to leave my infant with my relatives because I cannot carry him while carrying water.” We walked home with her, offering some help, and before she could tell us which house was hers: we heard the baby crying and we knew we’d reached her home. The well you helped to install in this village will reduce this kind of frustration and babies will not notice the long absence of their mother. This is their current drinking source. A ring is made in the stream to help the water be as clean as possible. However, open air water sources are never a clean water source.